Camila Cardenas, Graduate of the International Master in Marketing- Bilingual Programme, 2017. The final step in the completion of the International Master in Marketing- Bilingual programme is undoubtedly one of the biggest and most demanding challenges: that of handing in the marketing plan we have been preparing over the last two terms and presenting it in front of the panel of judges. At the beginning we were all full of expectations; we had to make sure we made the right choice of fellow team members in order to guarantee the success of the project and at the same time we had to negotiate which sector and which company we wanted to work with whilst making sure that each member of the team would be constantly motivated in some way. Each stage of the project constitutes a part of a process that is related to the different situations which companies are presented with in their day to day operations. Furthermore, it integrates tools and concepts learnt from analysing the case studies along with the skills developed during the experiential sessions at the Collbató Residential Training Campus. It is undoubtedly a project that demands constant dedication, commitment and responsibility on the part of each team member. But at the same time the project helps us to connect with each person’s work experiences, to learn and use solutions and strategies from different sectors of the industry and apply them to our final project. Each stage helped us to get to know each other better as people and to identify the strengths and weaknesses we have. We learnt to work under pressure and to address each challenge assertively. However, this process also enabled us to help one another so as to turn our weaknesses into strengths through the experience of others and the constant support of our companions. 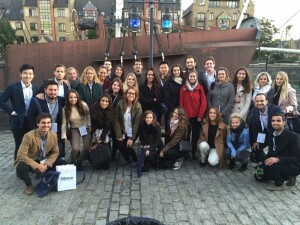 Participants of the International Master in Marketing- Bilingual programme 2017 at the Marketing fair in London. SmartMove S.L. is a Barcelona-based company which operates in the real estate market in Spain. Leila Hendriks, actual founder & managing director, started up the company in October 2016. Her prior expertise as a real estate agent inspired her to grow and open up her own company. In a highly atomised market, SmartMove has a tough job ahead of it facing very strong competitors with a lot of economic muscle. The real estate sector in Barcelona is tremendously competitive and lacks differentiation. The project sets out to offer a portfolio of products with specialised services that cater to the needs of foreign students in Barcelona. It also aims to implement technology tools to facilitate the search for apartment rentals in the city. 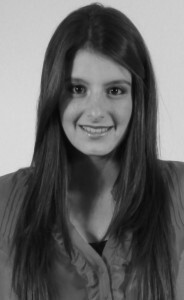 Colombian alumna Camila Cardenas studied advertising and has experience in strategic planning in the fashion industry. She worked as a coordinator in Esprit, developing marketing plans for both retail and wholesale distribution. Camila graduated in the International Master in Marketing – Bilingual programme in June 2017.